Pollock wears an exclusive colorway of the UA Deception DT that really jumped out at us on the field. 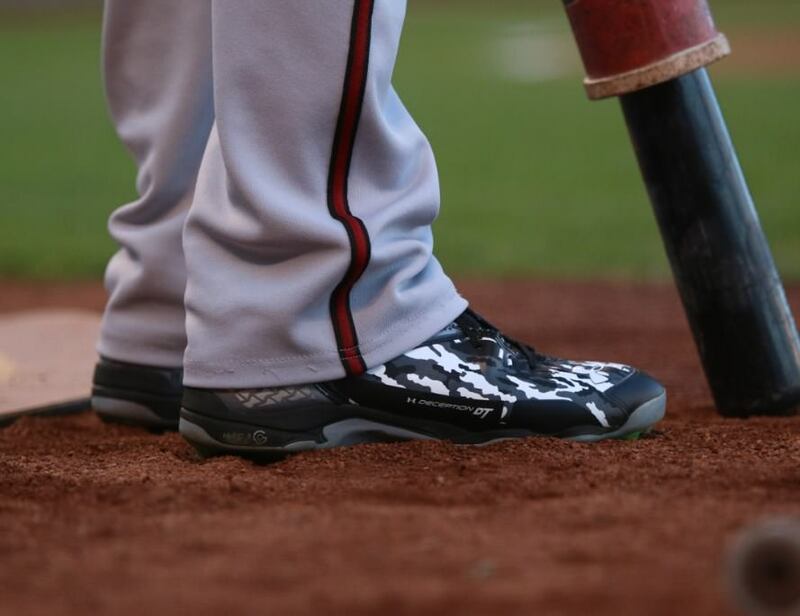 There are many colorways, but none with the fully contrasted black/white camo like Pollock’s. 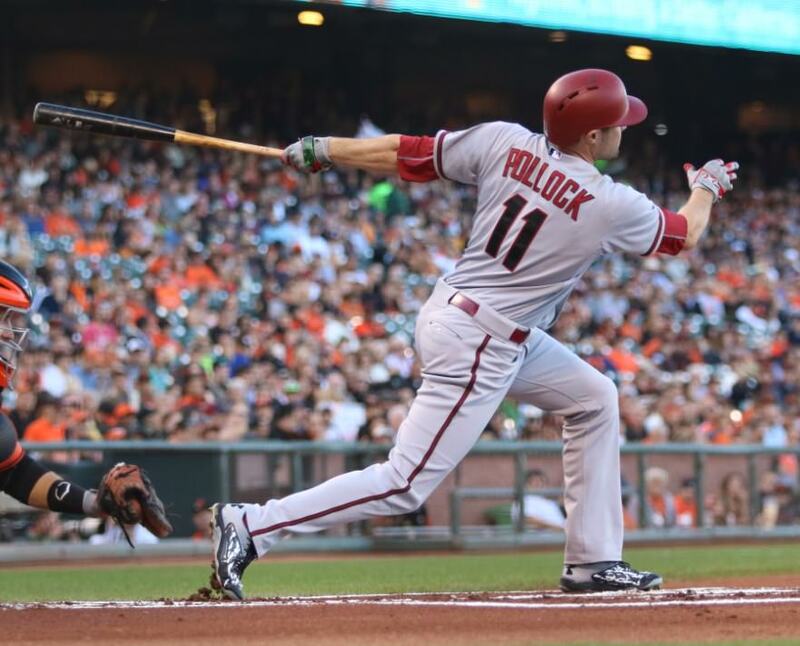 Categories: Arizona Diamondbacks, AJ Pollock, Gear, Outfield, Cleats.